One of the most interesting upcoming smartphones is Purism’s Librem 5. This crowdfunded device, which is expected to land early next year, emphasizes privacy above all else. For starters, it runs totally open-source software. Forget iOS and Android, with its proprietary binary blobs: every bit and byte that ships with the Librem 5 is open to inspection. And as is the case with the Librem 13 laptops (which are apparently selling well), the librem 5 comes with hardware switches allowing you to disable parts of the phone. So, if you’re ultra-paranoid about your privacy, you can disconnect the camera, Wi-Fi, bluetooth, and baseband with just a tap. 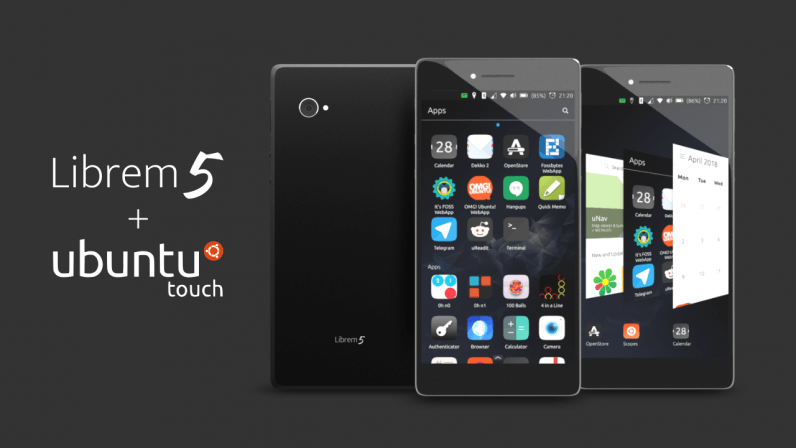 One of the biggest surprises with the Librem 5, however, is that it’ll come with the option to ship with Ubuntu Touch. Ubuntu Touch is the mobile-friendly version of the popular Linux-based operating system. Initially, it was conceived as an open-source alternative to Android and iOS. Unfortunately, it didn’t really make any traction, and Canonical called time on it early last year. Fortunately, a community organization called UBPorts picked up the mantle, and has continued development on Ubuntu Touch ever since. Purism says it’s partnering with UBPorts on the Ubuntu Touch version of the Librem 5. In total, Purism is offering three different operating systems for its upcoming phone: the Free Software Foundation-approved Pure OS, Pure OS with KDE Plasma, and Ubuntu Touch. That’s a stark change from the mainstream phone market, where you’re typically presented with just two choices. Purism raised over $2 million to build the Librem 5. Units are currently on pre-sale for $599. If you’re tempted, you can pick one up here.